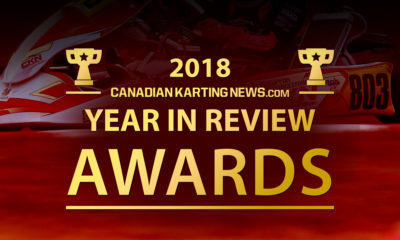 CRFKC Briggs Report: Hamilton Hosts Superb Racing as Intrepid Karts Lead the Way – CKN | CanadianKartingNews.com | Because Karting is a way of Life! 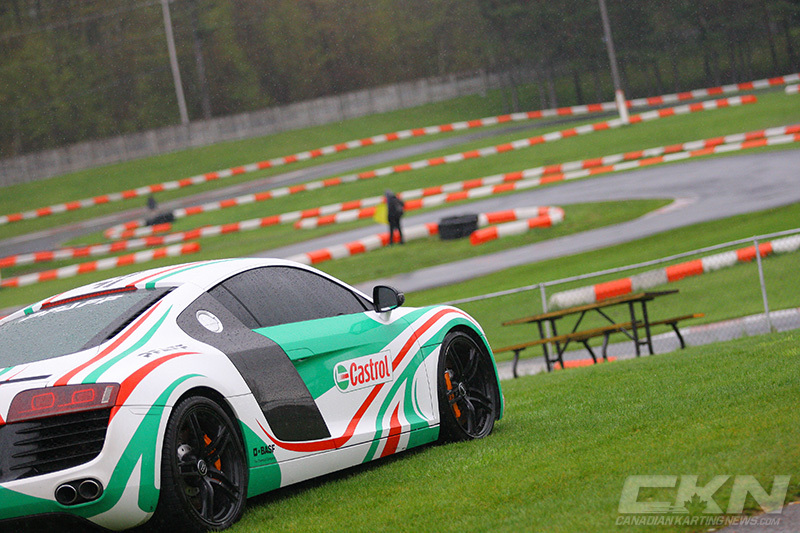 There was only one thing that could dampen the spirits of those on hand racing in the Champion Ron Fellows Karting Challenge at the Canadian Mini Indy on Sunday, and that was the looming rain showers. Throughout the day, dark clouds and cool breezes would roll into the area and as rain was predicted, many thought it was going to fall. However, time and time again throughout the day, the clouds would clear out as fast as they rolled in and the race day was completed on a dry track. And literally just minutes after the podiums were complete, Mother Nature let the rain fall on the Hamilton facility. 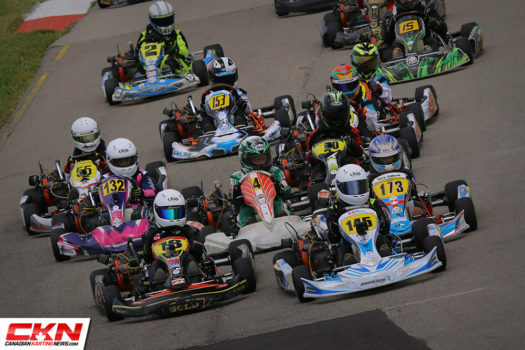 151 entries took part on Sunday in the first-ever CRFKC race at Hamilton. 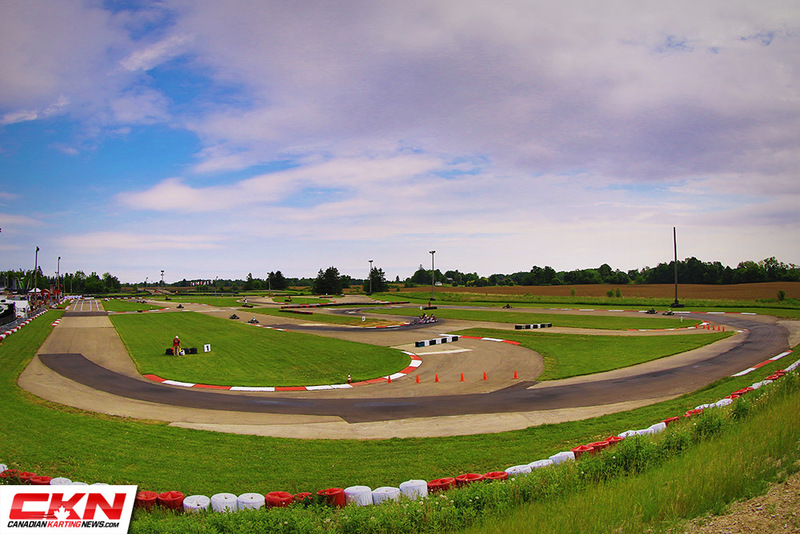 It has been ten years since a major karting race at CMI and those who remembered racing there in the past were happy to be back, while the many newcomers to the sport enjoyed some of their first experiences away from their home tracks. It was a new opportunity for the series as well and judging by the feeling throughout the paddock, it was a successful one. 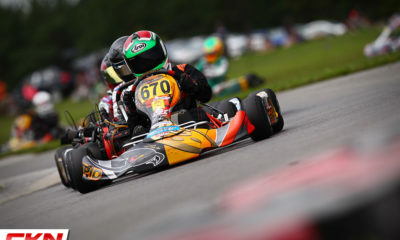 Here is our CRFKC Briggs & Stratton 206 Report. Read our CRFKC Rok Cup Report Here. Once again the Briggs Senior category was the largest to hit the track at the CRFKC as 34 karts lined up for their Final. 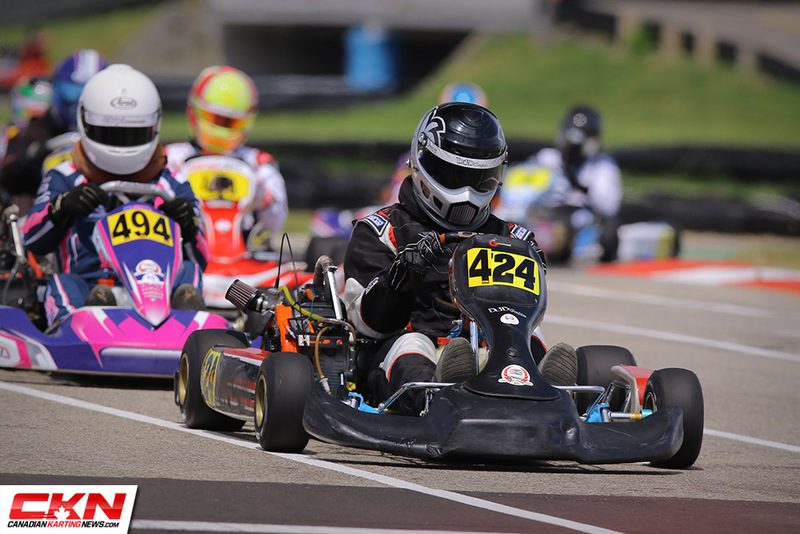 Coming off his double victory, Jon Treadwell (Intrepid) was on the pole-position alongside round one CRFKC winner Marco Signoretti (Energy Kart) as the two have emerged as true contenders each weekend. Signoretti got the jump into turn one with a nice push from Gavin Sanders (Kosmic) while Treadwell slipped back to fifth before slotting into line in turn three. It was an eventful first lap as drivers throughout the entire pack ran two and three wide battling for position, with only two drivers spinning off track in turn two. 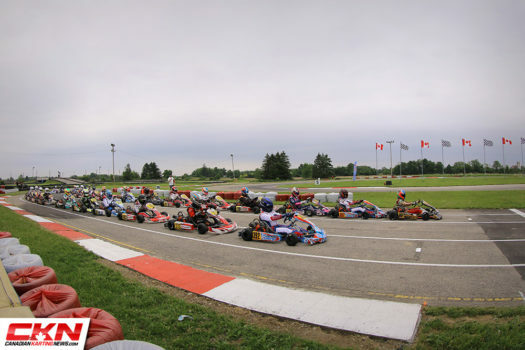 Quickly, a lead pack of four emerged as Signoretti led Sanders, Evan McIntosh (BirelART) and Treadwell, while a second pack was formed, led by Zach Boam (BirelART). On a mission to the front, Treadwell worked by McIntosh on lap three, Sanders on lap four and Signoretti on lap six, to regain the lead. Never looking back from there, Treadwell would actually pull away from Signoretti before the finish to take his third straight win in Ontario. Sanders held on to third after losing the leaders with a couple laps to go while Boam caught up and passed McIntosh on the final lap for fourth. 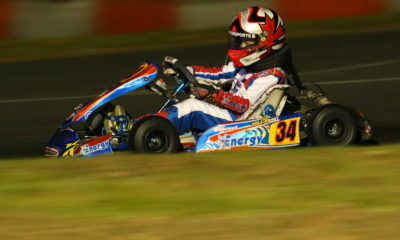 Hard Charger of the race went to Alex Da Silva (Energy Kart), who qualified second only to lose his rear bumper in the PreFinal and have to start the Final from the rear. He advanced nineteen positions in only twelve laps, posting the fastest lap of the race in the process, to finish fifteenth. For his efforts, Treadwell was awarded the Pfaff Automotive Senior Driver of the Day. Nicky Palladino (Intrepid) only managed to post the twelfth fastest time in Qualifying, but when it came to race time, he was a young man on a mission. 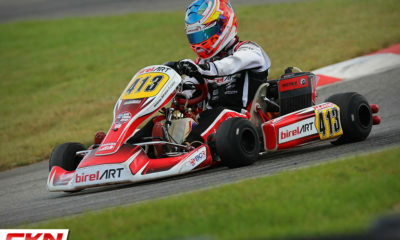 He made up only three spots in the PreFinal but charged forward in the Final to score the race victory and set the fastest lap of the race, leading an Intrepid Kart 1-2-3. 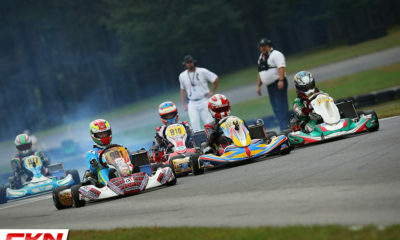 Escaping two karts that went soaring through the air exiting turn two on the start, Palladino was quickly in pursuit of the lead pack, led by Logan Ploder (Intrepid), Avery Miller (Energy Kart), Jake Cowden (Awesome Kart), and Keidon Fletcher (Intrepid). Ploder managed the lead as Palladino slipped by Fletcher on lap two, Cowden on lap four, Miller on lap six and finally Ploder on lap nine. But the race wasn’t over there as Ploder challenged Palladino all the way to finish line, keeping him honest. Fletcher worked past Cowden and Miller to finish third and stand on the podium in his first race of the year. 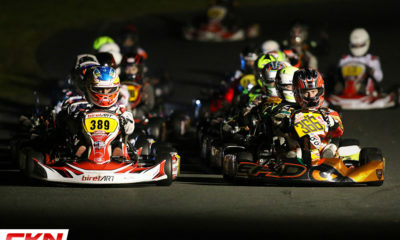 After a pair of weekends at Goodwood where he was fast, yet unlucky, Callum Baxter (Ricciardo Kart) scored his first win in Briggs Junior Lite on Sunday at Hamilton. The defending Briggs Cadet Canadian Champion was a force all day long, qualifying on the pole-position, winning the PreFinal and leading every lap of the Final en route to the victory. 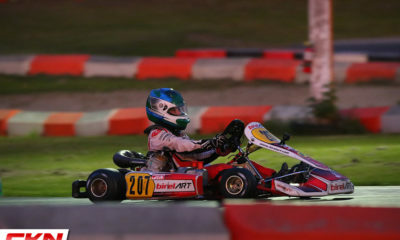 In the early stages of the Final, Baxter was under attack from Nicholas Gilkes (BirelART), who won the two Finals at the Pfaff Kartsport Cup, but Baxter’s pace was just too much and Gilkes had to settle for second. 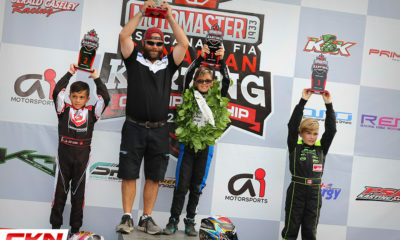 Behind them, Steven Navratil (Awesome Kart), had his hands full of Ethan Donkers (TonyKart) and Daniel Ali (Kosmic). With two laps to go, Donkers and Navratil came together in turn three, forcing Ali to the grass to avoid the contact and sliding all three of them down the running order. This opened up the podium doors for Miles Morgan (Intrepid) and Matte Ferrari (Intrepid), who battled it out on the final lap for third, with Morgan getting the upper hand. 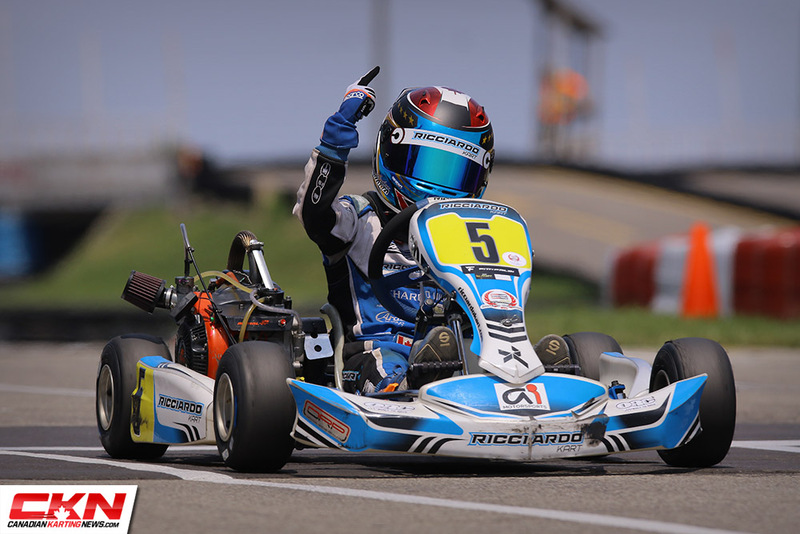 Ayden Ingratta (Ricciardo Kart) extended his winning streak in Briggs Cadet on Sunday, but he did it the hard way after starting the Final from the rear of the grid. While leading the PreFinal, Ingratta’s kart blew a chain and he was left powerless as his fellow competitors all drove past him. Starting the Final from tenth on the grid, Ingratta had his work cut out for him in the short ten lap race. 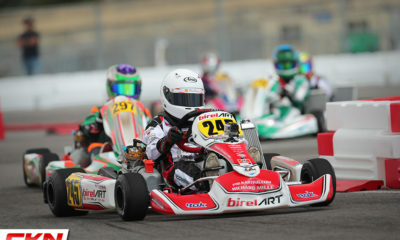 From the USA, Ashton Henckel (BirelART) led the field green with Jordan Di Leo (Intrepid) alongside. Di Leo jumped out to the early lead while Ingratta picked up six spots in the first two laps. Henckel slipped by Di Leo on lap three to take the lead and began to build up a gap until lap five when Ingratta moved past Di Leo for the second position. Chipping in the lead lap after lap, Ingratta found the leaders rear bumper with one lap to go. 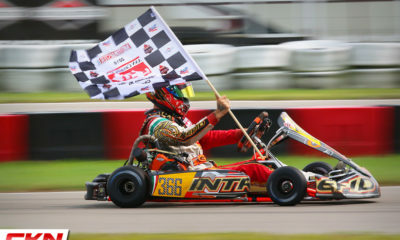 After Ingratta found a way by, Henckel tried everything to return to the lead, but he overcooked his entry into corner six and that allowed Ingratta to get away and take the win. Henckel settled for second while Di Leo was third. 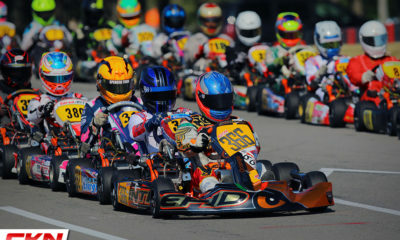 Scotty Watkins (Top Kart) was fourth followed by Carson Bartlett (Gold Kart). For the second straight CRFKC Briggs Masters race, it was a battle between two Davids. 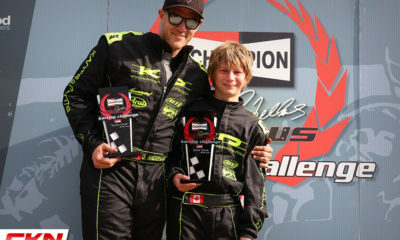 The difference at Hamilton was David Anderson was standing on the sidelines and David Miller (FA Kart) joined the action and took it to race one winner David Patrick (Kosmic). Miller, a driver well over six and a half feet tall, moved up to Masters after many years of trying to compete in Senior Briggs with a weight disadvantage. 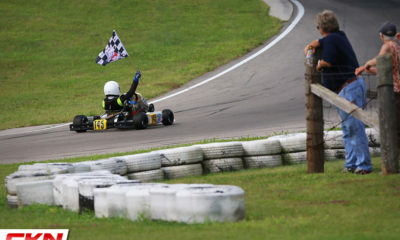 He was competitive right away and scored the PreFinal win to start the Final from the pole position. He jumped out to the early lead with Patrick, Corey Walsh (Kosmic) Rich Folino (BirelART) and Quinn Dewsbury (Kosmic) in tow. Patrick waited until halfway to make a pass for the lead only. His time at the front lasted only two laps when Miller returned the favour and he brought Folino with him. The action picked up from there as Folino was searching for his first win, on home turf. But his bid for the win ended when he and Walsh went wheel to wheel around turn five, slowing them up enough for Miller to get away and take the win. 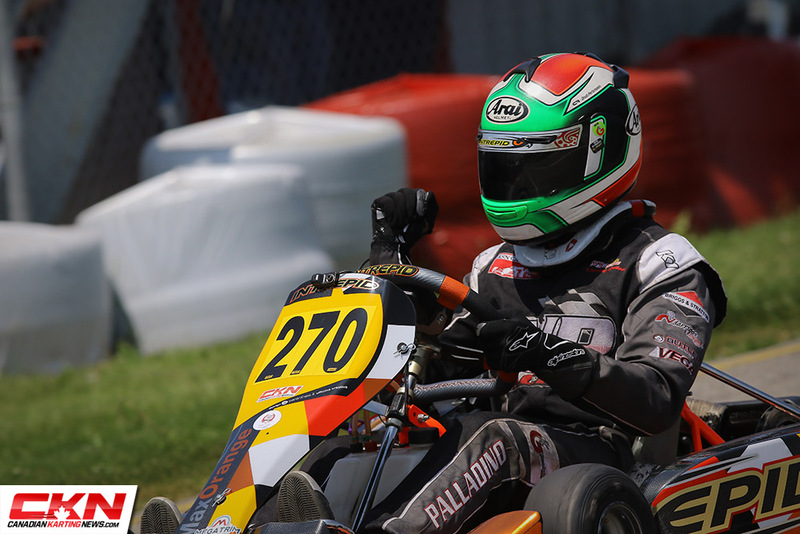 Folino would hold on to second while Patrick overtook his teammate for third on the final lap. 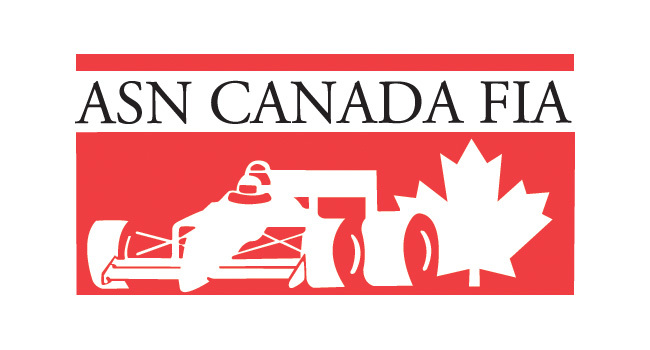 The Champion Ron Fellows Karting Challenge will resume in a months time as round three will run at Mosport Kartways on Canada Day weekend, June 30-July 1, in the first of many major events at Mosport this summer.